Don’t lose it – reuse it! 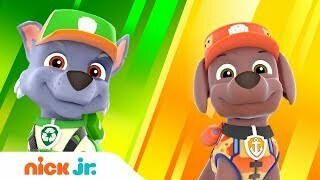 Rocky the recycling pup turns trash into treasure, especially in these 12 exciting PAW Patrol rescues! He’ll take the lead to patch up Cap’n Turbot’s boat, fix the water tower, and even pitch in to help the pups save Ryder!